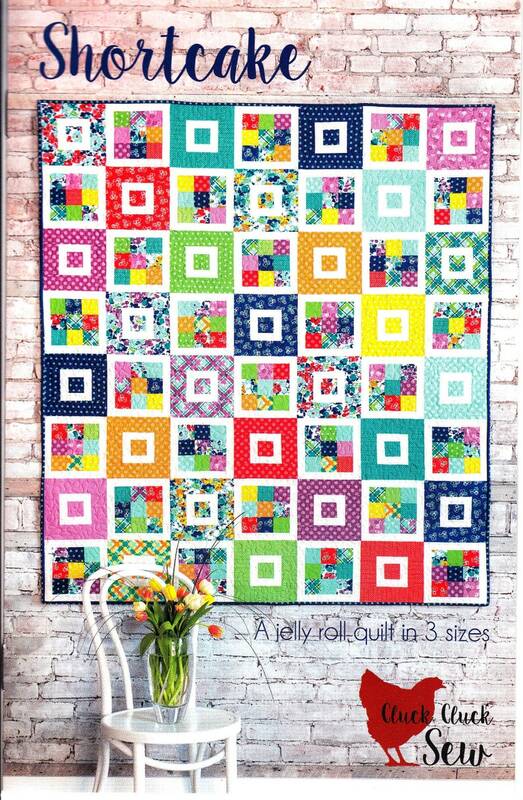 Shortcake quilt pattern by Cluck Cluck Sew. Includes instructions for three different sizes - Throw (56" x 64"), Twin (64" x 88"), and Queen (88" x 96"). Jelly Roll friendly. See second image for fabric needs and other details. Patterns are stored in a smoke-free business suite. Thank you!